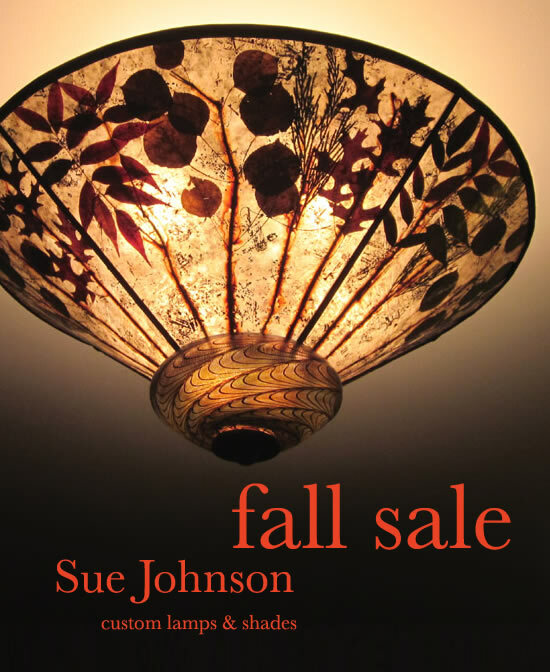 Our 2015 Annual Fall sale begins at noon on Friday October 23 and ends Sunday November 1 at 5 pm. Everything in the shop is included in this sale, plus we will have a super-discount table in the center of the main room. We will have a well stocked BARGAIN table in the center of the main room in the shop with lamps and shades discounted 50% and more. We also will be selling donated items out front (weather permitting) to support our local food banks in Alameda and Contra Costa Counties. There are no discounts on custom shades or on wiring and electrical repair services.